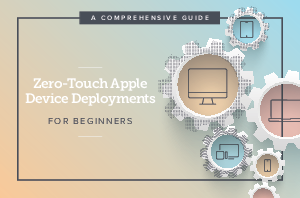 Is your organization receiving an influx of Apple devices? Ready to move away from hands-on, time-consuming imaging practices? Or maybe you’re the only person responsible for deploying your entire fleet of Apple devices and you need a more efficient way of doing so?